Tipard Video Enhancer 9.2.12 was available as a giveaway on April 26, 2017! 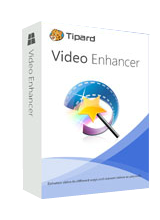 Tipard Video Enhancer is the professional video enhancement software to help you enhance video quality, upscale video resolution, optimize brightness/contrast, remove background noise and more. It enables you to enhance video quality in color balance and resolution even video de-shaking. Moreover, it is designed with many powerful video editing functions for you to rotate/clip video, adjust output effects and add your personal watermark. Tipard Video Enhancer can also work as a powerful video converter to convert 4K UHD/1080p HD/SD video. It highly supports any popular video format like MP4, AVI, FLV, MOV, MKV, WMV, etc. Whether you want to enhance video quality, edit video, customize output effects, or convert video format, this video enhancer software can always be your best choice. How would you improve Tipard Video Enhancer 9.2.12? 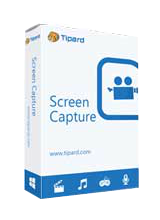 Tipard Screen Capture is the professional screen recording software on your Windows 10/8/7/XP computer. It can easily capture screen activities and record videos with super high image and sound quality. The recorded video will be saved as MP4 or WMV depending on your setup. Whether you want to record online YouTube videos, gameplay for playback, webcam videos of Skype chatting, or capture desktop to make video tutorial for sharing online, this fantastic software can always be the first and best choice to meet your needs. Moreover, it has the capability to only record MP3/AAC/M4A/WMA audio to your PC. Customized recording area, optional audio settings, selective recording time length will enable you to capture almost any video easily. When I execute "setup.exe" there is no intsallation but I have a msg confirmation the programme it's installed, when I check it's not, I try to download and install manuely but for the actvation I need a email + code and when I put my email adress + the serial it's say to me it's wrong, what I should to do ? I also had to temporarily disable my Anti-virus to get it to install. Also, remember to uncheck the box to check for updates automatically. Menu > Preferences > Convert > tickbox. Also, remember to uncheck the box to check for updates automatically. Menu > Preferences > Convert > tickbox. or any good video and audio enhancement features, sorry, but no features that really stand out at all from all the rest. Emailed their support a few times re: issues with this program, a year ago, no one bothered to even respond. Would never pay for this program. This latest version is still has pretty much the same old , very limited options, has had over a year ago, like others have said, it is Pretty much just a rebranded version Aisseoft video program, the same, just okay output quality, nor or any good video and audio enhancement features, sorry, but no features that really stand out at all from all the rest. Emailed their support a few times re: issues with this program, a year ago, no one bothered to even respond. Would never pay for this program. darn, I was hoping this offer would also burn downloaded movies, as Freemake has been kind of 'buggy' lately? OK as reported earlier downloads but will not install "setup files are corrupted. Obtain another copy of the program"
Turn off anti-virus .... unzip (successful) try to install - " "setup files are corrupted...."
Turn off windows firewall and anti-virus - same result. Basically you can spend lots of money on hardware or equipment to shoot video, or you can spend quite a bit less, but get lower quality results, e.g. you can use an expensive DSLR, taking advantage of its automatic exposure, focusing, & image stabilization, or you can spend a [sometimes very small] fraction of that money, doing without those things. You can shoot video with a super expensive cell phone, one that includes one of the best cameras, or you can make do with the much cheaper cameras many [most?] of us use, also making do with lower quality video. Recording video using a drone works the same way -- better quality video costs more money. When you use lower or reasonably priced gear, you can use Tipard Video Enhancer [or similar] to try to bridge some of that quality gap. You'll probably get the best results using de-shaking software, because the original picture isn't redone, but centered & cropped, and that's where there's more competition, even from Microsoft. Next would be color &/or lightness or brightness, because again the original picture remains -- the colors of the pixels are just remapped. Removing noise &/or artifacts is where Tipard Video Enhancer has its work cut out for it. A bit over 10 years ago capturing or recording analog video broadcast or cable/satellite programs & movies used to be popular. Video quality was uneven, and filtering captured video was fairly common. 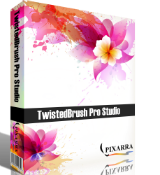 VirtualDub & AviSynth were the most popular tools, along with Handbrake, which is still updated & used by a loyal following. VirtualDub & AviSynth can be & are still used, but they're a bit long in tooth so-to-speak. No software will fully make up for the quality difference between a picture without noise & one with. Likewise no software will make up for artifacts [e.g. blocky looking groups of pixels] added when the video is compressed prior to being written to a file. But software can make a noisy picture look better. Unfortunately there are quite a few different types, or maybe better said as causes of noise, so what works best for you may not work so well for someone else, or for any video shot with a different camera -- IOW your mileage can vary... all you can do is experiment & try. You can of course use Tipard Video Enhancer on video you haven't shot yourself -- there's just IMHO a lot less need nowadays. If the video was made by a pro or pros, any quality loss was probably introduced after they released & distributed it, but before you got your hands on it. And in that case it's harder to compensate for, because any loss with digital video often means that data is gone forever. You can still try, but the odds of success are less. Basically you can spend lots of money on hardware or equipment to shoot video, or you can spend quite a bit less, but get lower quality results, e.g. you can use an expensive DSLR, taking advantage of its automatic exposure, focusing, & image stabilization, or you can spend a [sometimes very small] fraction of that money, doing without those things. You can shoot video with a super expensive cell phone, one that includes one of the best cameras, or you can make do with the much cheaper cameras many [most?] of us use, also making do with lower quality video. Recording video using a drone works the same way -- better quality video costs more money. When you use lower or reasonably priced gear, you can use Tipard Video Enhancer [or similar] to try to bridge some of that quality gap. You'll probably get the best results using de-shaking software, because the original picture isn't redone, but centered & cropped, and that's where there's more competition, even from Microsoft. Next would be color &/or lightness or brightness, because again the original picture remains -- the colors of the pixels are just remapped. Removing noise &/or artifacts is where Tipard Video Enhancer has its work cut out for it. A bit over 10 years ago capturing or recording analog video broadcast or cable/satellite programs & movies used to be popular. Video quality was uneven, and filtering captured video was fairly common. VirtualDub & AviSynth were the most popular tools, along with Handbrake, which is still updated & used by a loyal following. VirtualDub & AviSynth can be & are still used, but they're a bit long in tooth so-to-speak. No software will fully make up for the quality difference between a picture without noise & one with. Likewise no software will make up for artifacts [e.g. blocky looking groups of pixels] added when the video is compressed prior to being written to a file. But software can make a noisy picture look better. Unfortunately there are quite a few different types, or maybe better said as causes of noise, so what works best for you may not work so well for someone else, or for any video shot with a different camera -- IOW your mileage can vary... all you can do is experiment & try. You can of course use Tipard Video Enhancer on video you haven't shot yourself -- there's just IMHO a lot less need nowadays. If the video was made by a pro or pros, any quality loss was probably introduced after they released & distributed it, but before you got your hands on it. And in that case it's harder to compensate for, because any loss with digital video often means that data is gone forever. You can still try, but the odds of success are less. Silent Wolf: the zoom comes about when the software tries to correct the shakyness. Each video frame has the image in a slightly different position because of the shake and this is coupled with the natural movement of the objects being videoed. In order to try and correct the problem frames have to be dragged into the correct position which introduces blank margins. Once alignment is established the result has to be cropped and then zoomed to the original size. The compensation required can to be too large for an acceptable result. IceFire Opals, thank you for the explanation. I've never had that happen before on that scale! English translation: "I'll check this program"
Downloaded, installed and registered no problem in Win 7 64 bit. Ran it on 2 home video files that were in need of improvement, one 5 minutes and the other 30 minutes long. To be honest I was no expecting to see any great quality gain, but the results were awful. Pixilation on one and lines on the other with both significantly worse. Uninstalled. Downloaded installed and registration on my Windows 10 64 bit very easily and a pleasure compared to some other recent offerings. Gave it a try. Found the instructions a bit minimal but worked out that on completeing a task you have to hit apply then close the task window then hit convert to get it to work. If you do all the enhance features it takes about twice as long to convert as it takes to play the clip ie a 2minute clip takes 4minutes to convert. To the developer: There is a bug in the program in that if you try to apply a rotate and all the enhancements at the same time the rotate does not work, However if you do the rotate on its own it does work. So if you want to rotate and enhance then you have to run the convert twice. It's a keeper for me as it may come in usefull when I have some free time to work on my home movies. Downloaded installed and registration on my Windows 10 64 bit very easily and a pleasure compared to some other recent offerings. Gave it a try. Found the instructions a bit minimal but worked out that on completeing a task you have to hit apply then close the task window then hit convert to get it to work. If you do all the enhance features it takes about twice as long to convert as it takes to play the clip ie a 2minute clip takes 4minutes to convert. To the developer: There is a bug in the program in that if you try to apply a rotate and all the enhancements at the same time the rotate does not work, However if you do the rotate on its own it does work. So if you want to rotate and enhance then you have to run the convert twice. It's a keeper for me as it may come in usefull when I have some free time to work on my home movies. I get same error - having turned off Anti-Virus .... download file, when I run 'unzip' it fails with "set up files are corrupted"
It does bring up the software key window .... but so I have the license key .... just don't have install package. Anybody know if I can download the s/w files else where. I get same error - having turned off Anti-Virus .... download file, when I run 'unzip' it fails with "set up files are corrupted" It does bring up the software key window .... but so I have the license key .... just don't have install package. Anybody know if I can download the s/w files else where. Memnon, Install it in safe mode, I have this problem a lot with giveaway software installers. Downloaded and installed cleanly on my Vista Home Basic 32-bit after disabling Avast for 10min. Simple, easy to understand UI. It automatically set the output folder to "Documents" instead of "Videos" but that's easily changeable in the preferences menu. I tested the software on an old video (about 8-9yrs old) from my son's Little League days. The video is about 2min long. I had to do everything (resolution enhancement aka deblur, optimize brightness & contrast, reduce video noise, reduce video shaking) all at once. I mean, why not, right? It's there! It took 6min to complete. When I checked the output vid, the first thing I noticed was that it had zoomed in. I'd post a comparison screenshot, but I'm not sure how. It did reduce the shakiness on the video, but because it had zoomed it so far, it was blurrier than before. I haven't yet tried to see what it would do if I tried the features independently, though. I'm on the fence on this one. It has potential but that zoom thing....I'll keep it for now. Looks like a rebrand/re-skin of aiseesoft Video Converter. Same features, same "enhanced" menu, same everything. If that's the case, then the program is pretty much worthless. I downloaded the Aiseesoft version when it was available here, ran it on a number of videos, and could see no perceptible difference, much less the dramatic improvement shown on their web page. Well, when I clicked on the link to learn more Edge warned me that the site "was reported to spread intrusive software". That coupled with a trustworthiness of "poor" is enough for me. (to NOT download or visit to make myself crystal clear) Thanks GOTD but not today. The link provided where you can use the 50% off coupon is reported by Mozilla Firefox as being infected with Malware and is unsafe? The link provided where you can use the 50% off coupon is reported by Mozilla Firefox as being infected with Malware and is unsafe? Duane Bowerscott. Download twice,and tried to install twice. Got the same error message : The setup files are corrupted. Please obtain a new copy of the program. Bill Rutan, you need to turn off your Anti-Virus to allow installation. Turn back on after. Bill Rutan, It's probably your AV.. Turn it of when trying to install... This is a classic problem with GOTD installs. Bill Rutan, Pause the auto/background protect of your antivirus software. Delete the original UNZIPPED folder - and unzip the downloaded file again. Try the install again. It should be fine. I had to do it with Norton. It happens just about every time a lot of folks. Bill Rutan, please try to disable antivirus software and install it again.